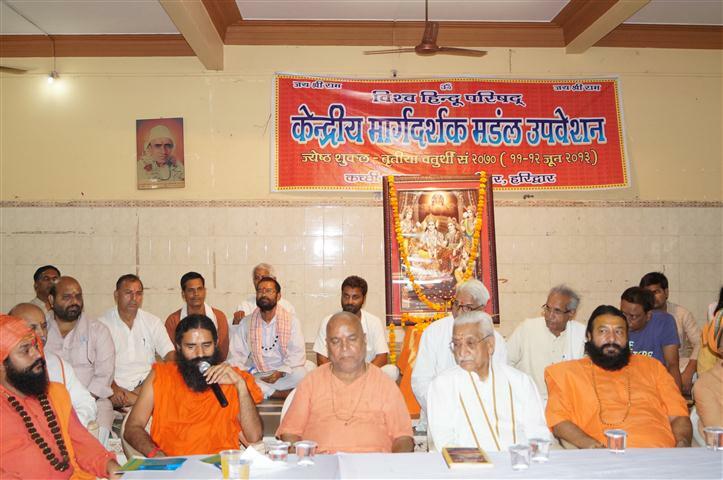 Two day Kendriya Margadarshak Mandal of VHP concluded at Kachi Ashram, Haridwar on 12th June, 2013. 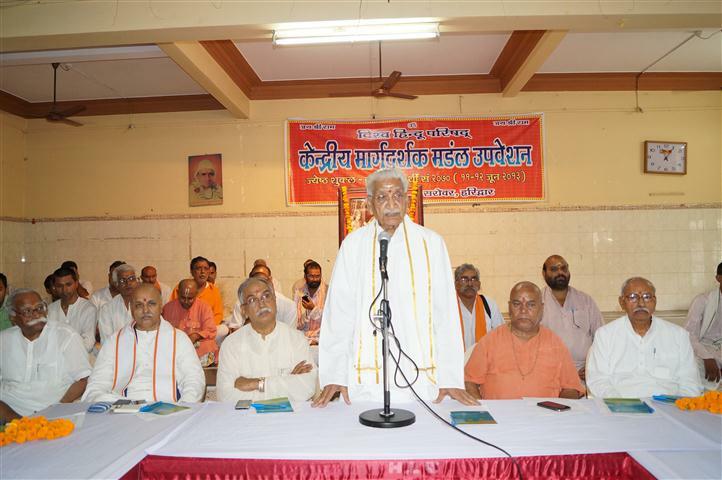 Pujyasri Satyamitrananda Ji inaugurated the session. 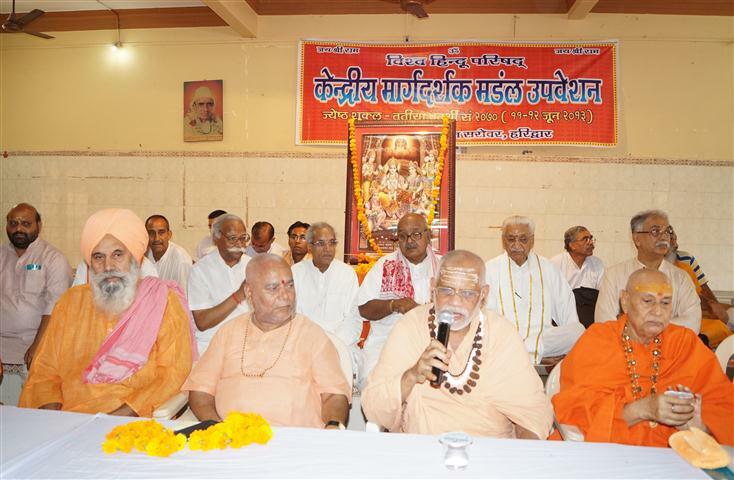 Dr. Pravin Togadia, Ashok Chowgule, Jyothishapeetatheeswar, Shankaracharya Vasudevananda Saraswathi Ji Maharaj, Ramanandacharya Ramabadracharya Ji, Baba Ramdev and other saints participated in the conclave. 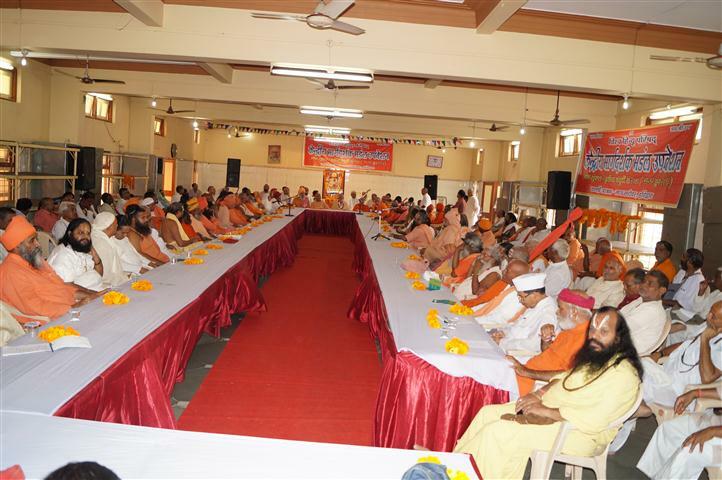 A firm resolution to build a Ram Mandir at Ayodhya was passed in the conclave of sadhus and saints at Haridwar.